The 3000 Series is constructed of colorfast, scratch-resistant, flameproof Martest 21. Hard plastic seats and separate backs are remarkably chip-resistant and retain a bright, fresh look semester after semester. Martest 21 or Fortified Recyled WoodTM (FRWTM) hard plastic seat and back, pneumatic cylinder. 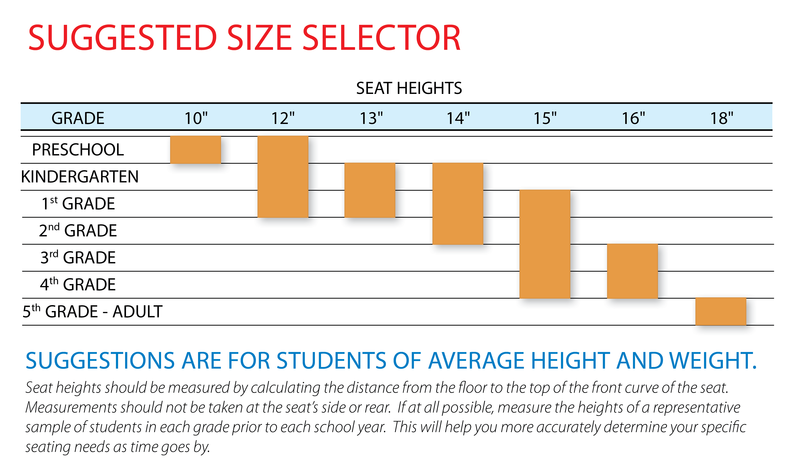 Seat height adjusts from 21" to 28-3/4"; the footring is adjustable from 8-5/8" to 14-1/4". Molded Martest 21 or Fortified Recycled WoodTM (FRWTM) hard plastic seat and back.